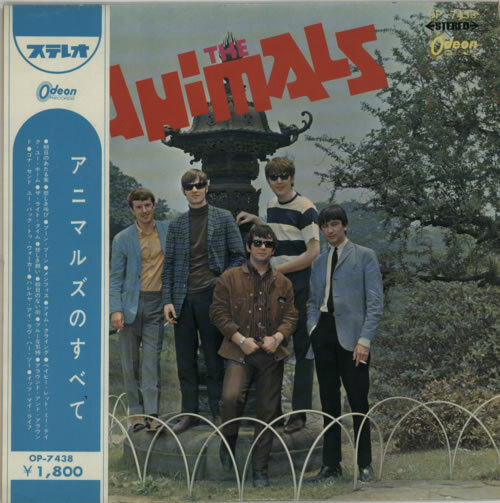 THE ANIMALS The Animals (Rare 1966 Japanese-only 14-track stereo LP on Everclean Wine Red Vinyl, housed in a unique fully laminated sleeve with scalloped flipbacks, complete with English lyric insert, Everclean inner & the monster rare original obi-strip. Tough to find in any condition, the sleeve reveals only light signs of age with all text legible & the obi fully intact. Despite some light foxing to the insert, this is a wonderful example with secure flipbacks & vivid print. 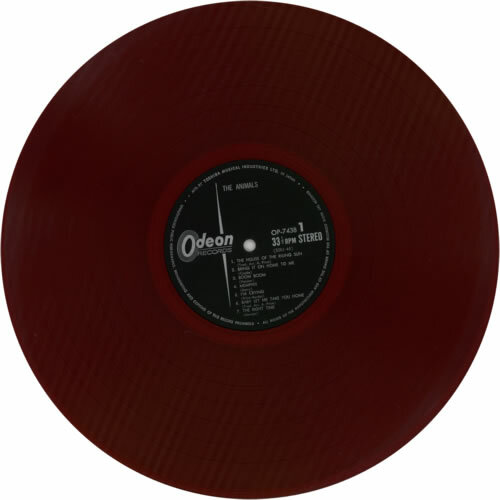 The vinyl appears clean with only a few label spindle marks to indicate play. A very pleasing copy! OP-7438).